It's about time Nintendo had some good news, and the company can probably look forward to its best Christmas in some time, having just posted its first quarterly profit for quite a while. The 215 million yen operating profit of this quarter is made even more impressive by the fact Nintendo made a 18 billion yen loss in the same quarter a year ago, as Reuters reports. And who's to thank? Super Smash Bros.
Nintendo's brawler has helped the company make a massive U-turn, shifting 3.2 million copies worldwide on 3DS despite only launching in September - and the Wii U version isn't even out yet. We suspect the Wii U won't sell as many copies of the game as the install base is considerably smaller than that of Nintendo's handheld, but like Mario Kart 8, Smash Bros should help shift a lot more consoles. Combine that with Nintendo's upcoming Amiibo figurines, and the Wii U has the potential to see the biggest boost of its life so far. Just last week we reported that Nintendo was on the hunt for some new talent to work on future hardware, suggesting that work has begun on a new console. Right now it's mostly speculation, but the job advertised mentioned experience in low power design, hinting that this might be for a new handheld. 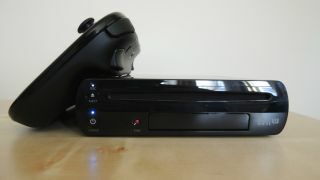 But it wouldn't surprise us if Nintendo is also moving forward with plans for the Wii U's successor right now. Just don't expect to hear about it any time soon. Time to get yourself a Wii U?